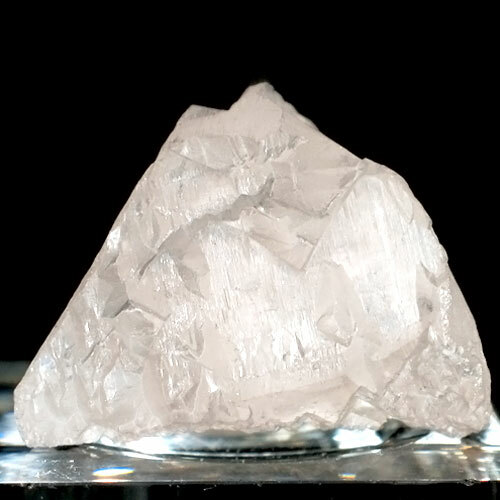 Ice quartz has a powerful, nurturing and protective energy signature, and is known as Nirvana Quartz or Himalayan Ice Quartz since it was discovered where glaciers had recently retreated. Ice Quartz is an extreme example of what is known as growth interference quartz, created when calcite or other mineral formations adhere to the crystallizing quartz formation, then disappear over time. Growth interference crystals are typically used to in clearing blocks we encounter in our quest for emotional, physical, or spiritual growth; to gently remove these old and outdated "stuck" energies. Read more about Ice Quartz in our Crystalpedia.